The following American submarines and sustained the loss of at least one man prior to World War II. In addition, one submarine (USS S-5) on this list did not suffer the loss of any man, but is included because of the loss of the vessel itself. Vessels listed in bold type were lost. 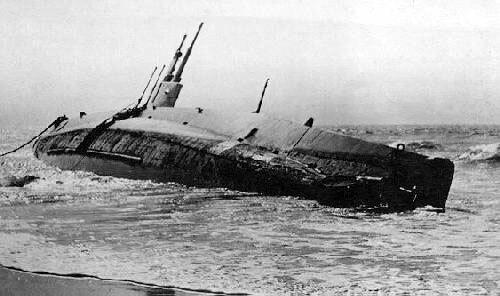 Although decommissioned at the time of her loss, USS G-2 (SS-27) is included because of the loss of life. Known losses incurred by submarine tenders USS Fulton, USS Holland, and USS Rainbow are also included. Please view the "Additional Losses - Pre-WWII" page for listings of men were lost while serving on vessels that were not sunk. *American submariner who was lost aboard a British Submarine.